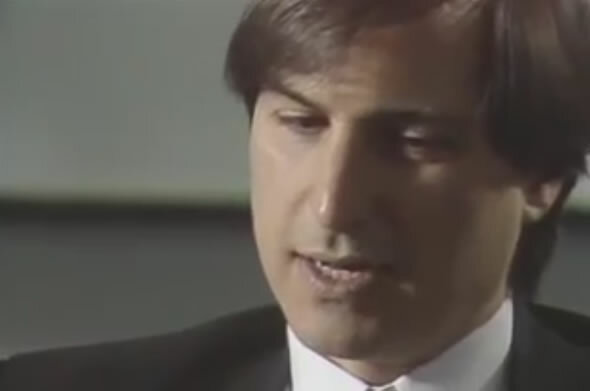 Steve Jobs was rather camera shy, so only a handful of interviews with the technology visionary remain. One of these interviews was part of WGBH’s The Machine That Changed the World series, while the name of the episode is ‘the Paperback Computer’. The interview was done in 1990, the year when NeXT released the NeXTcube, which Jobs touted as the first “interpersonal” computer that would replace the personal computer. The interview is an uncut version, so you get a peek at Jobs during all the outtakes. There are a lot of interesting insights on personal computing and software. Jobs talks about how the success of a platform system is measured by the number of application software written for it. He discusses how the ‘hobbyist’ or as we would say today the ‘developer’ or ‘hacking’ community was one step ahead of the companies in realizing the true potential of hardware technology. He also talks about how communication is the future of computing, while there are tons of references on the history of personal computers. You can find the entire 50 minute interview after the break. Steve Jobs had left Apple in 1985 and founded NeXT that same year. Apple acquired NeXT in 1997 and Jobs returned to the company he co-founded, with the NeXTSTEP operating system finally evolving into Mac OS X. The full video with annotations, can be found at WGBH’s Open Vault here.